You know that you're once step closer in becoming a famous blogger when you Google search for your university's famous blogger and your blog appears second on the result. 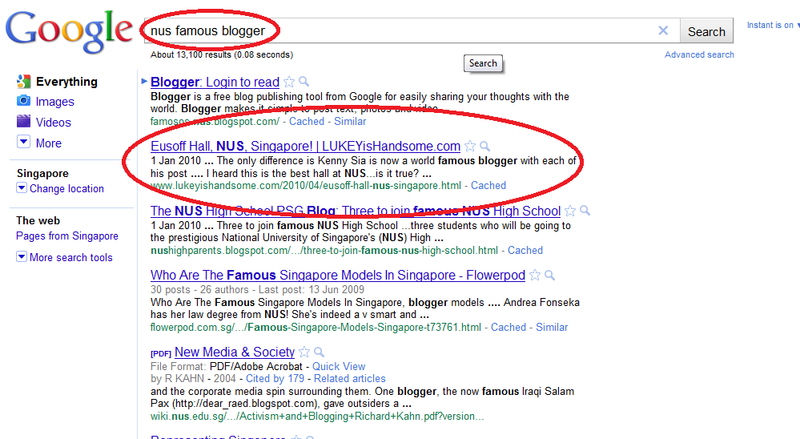 I guess I am officially one of the famous blogger in NUS (National University of Singapore) now according to Google. Next up, I'm gonna conquer Singapore! P/s: Just to clarify, i did not randomly go search for NUS's famous blogger out of nowhere, i just happened to do so when I saw that there were a few searches of "NUS famous blogger" landing on my blog based on Google's analytics. 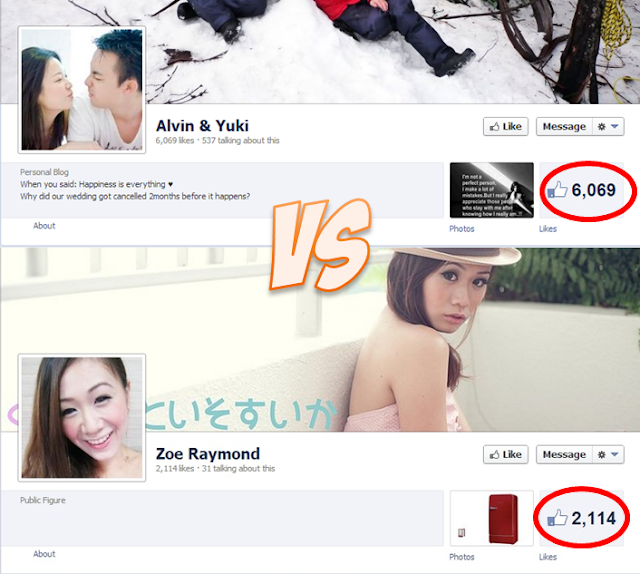 Just thought to see whether NUS has any famous bloggers, that's all.